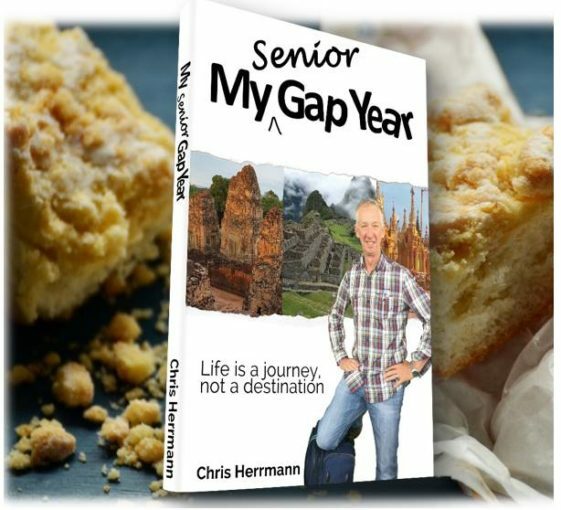 Come along to the Brighton Surf Lifesaving Club 4pm THIS SUNDAY, 3rd of June where I will be talking about the My Senior Gap Year travels, the book, experiences and just for a general meet and greet, and Q&A. I’ll bring along my special freshly baked beer cake, as mentioned in the book! Sorry, it was 2018. The book is available from myseniorgapyear.com if you are interested….